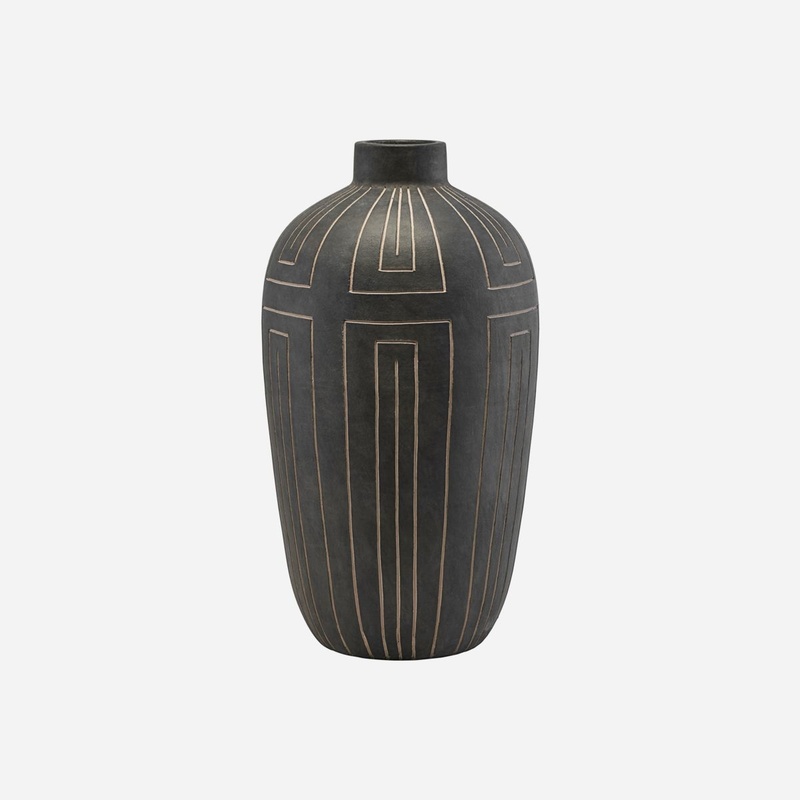 Create personality in your home décor with this lovely vase from House Doctor. 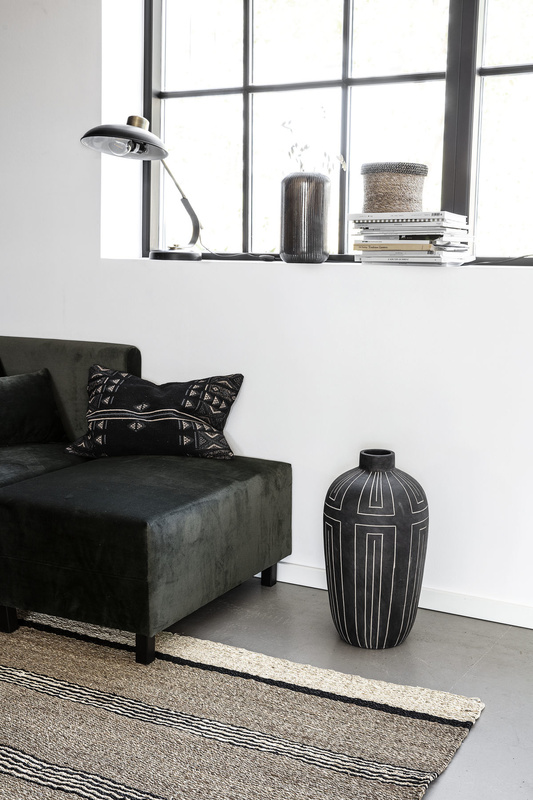 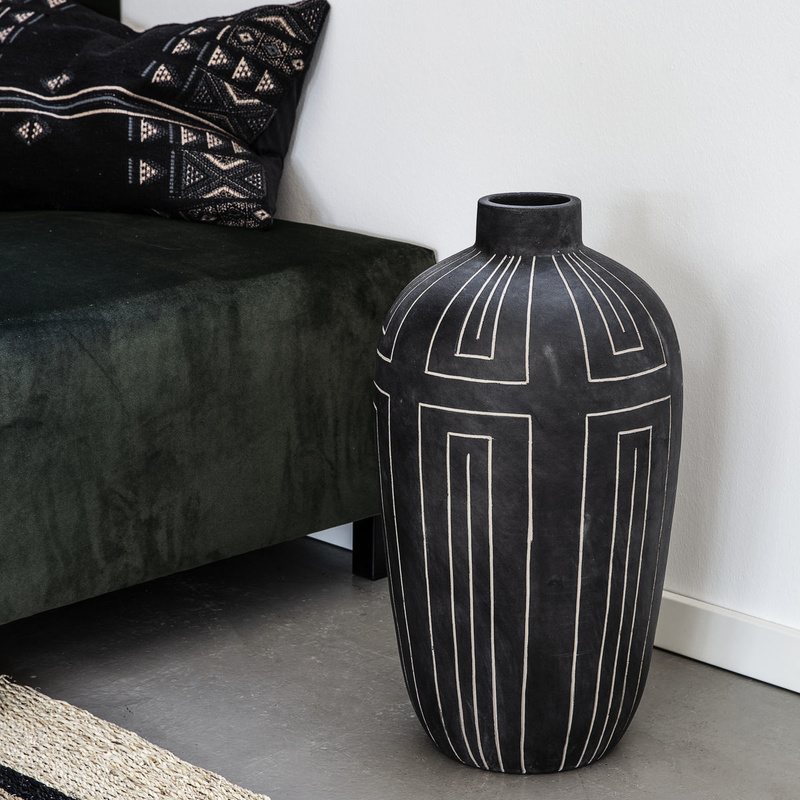 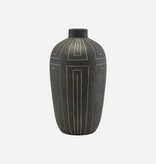 The vase is named Aljeco and has a nice, grey/black colour with a pattern in light shades. 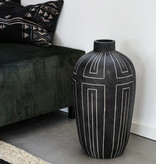 Aljeco is made of stoneware and the unique pattern is glazed on it. 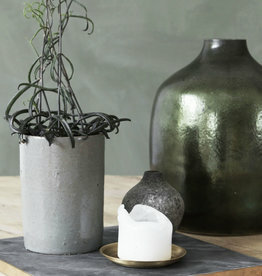 It measures 55 cm in height, 31 cm in diameter and is perfect on the dining table with a bunch of flowers. 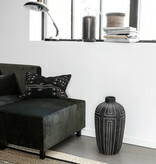 Combine the vase with other vases in different shapes and colours or use it as an isolated item in your décor.